Homemade cakes - a great appetizer or main dish for dinner. They can fry in oil or bake in the oven, using fresh, puff or yeast dough. Make a variety using unusual fillings - as satisfying and sweet. Cakes can be made from any test - it is possible to cook yourself or buy in the store. Fried pies can be made from fresh or sour dough, use baking yeast or puff pastry. Do not make cakes too large - small products look more beautiful, and better baked. Separate the dough into small balls, and then roll out with a rolling pin into pellets. In the center of each put the stuffing and gently semipelite region. Baked pies can be done half-open, fried be bonded more reliably. If you plan to bake cakes of dough, lay them on a baking sheet and give rasstoyatsya. Bake in the oven preheated to 200oC. Fry pies in hot oil until Golden brown. To baked pies turned rosy before rasstoyki brush the surface with egg beaten with water. Try to cook a delicious stuffing of potatoes and pickled mushrooms - it is suitable for both baked in the oven, and fried pies dough. Wash the potatoes thoroughly with a brush, boil it, and shalt by turning it into a thick mash. Drain the liquid from the jar with pickled mushrooms. Onions finely chop and fry in hot oil. Then put the onions chopped mushrooms and cook everything for another 5 minutes. Mix the roast with mashed potatoes, add salt and pepper to taste. Cool the filling and start forming patties. In the summer you can cook pies with vitamin a filling of fresh herbs. In it goes any spicy greens - dill, parsley, cilantro, celery, green onions. Rinse greens, Pat dry it on a towel, then finely chop and put in a deep bowl. Season the mixture a couple of tablespoons of vegetable oil and add a handful of pomegranate seeds. Mix everything carefully - vitamin summer the filling is ready. Pomegranate seeds can be replaced with a little diluted citric acid. In early summer you can cook sweet cakes with sorrel leaves - they taste a bit like Apple. Use only the young plants, the old leaves become tough and fibrous. Wash the sorrel leaves along with the stalks and then cut them into medium-sized pieces. In a large bowl mix the greens with sugar. 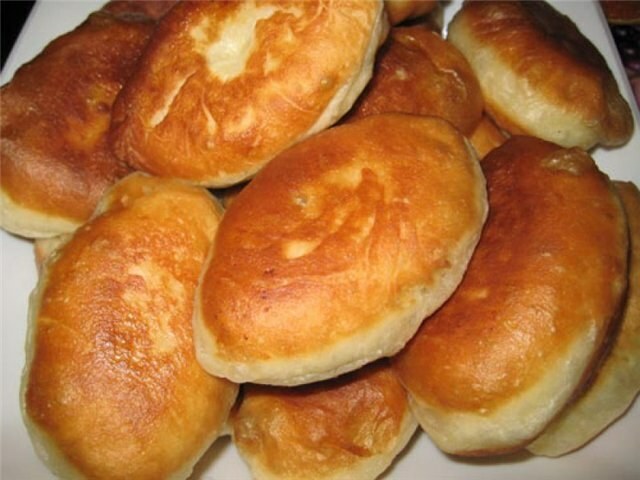 This filling is suitable for cakes of yeast dough, fried in oil. Serve cakes warm with freshly brewed tea. A rich and unusual stuffing - roasted beans. These products can do both savoury and sweet. If you prefer a sweet option, instead of pork rinds and garlic add to beans with butter, and then season the filling with sugar to taste. Cakes can be made from sour or fresh dough, the best oven. Beans soak overnight, then boil in salted water until soft. Drain the water. Finely chop the bacon and melt in the pan, leaving the browned cracklings. Place in a pan of beans and mix well. Garlic peel, chop and add to stuffing. The sunflower mix to taste, cool and fill with the patties.